Jeff: Welcome to another addition of YPN news. Bringing you the news that relates to bible prophecy and foretold by Yisrayl Hawkins. Everywhere we turn in the Middle East we see fighting and war, death and destruction. Today is no exception as we will take a hard look at the results of the ceasefire in Syria, as well as what one young girl has to say about all this fighting and killing going on in her country of Yemen. But first the unthinkable, in a small town right here in the United States. Jeff: A mother’s worst nightmare became reality on September 28, 2016. Tiffney Osborne of Townsville South Carolina was working when she heard the news about a shooting at the town’s elementary school. Knowing that her son was homeschooled she thought he was safe. She later learned, he was the shooter. Her 14 year old son in now accused of killing his father Jeffrey Osborne and also wounding two students and a teacher at the school. Caton: As students from Townville Elementary were entering the school playground for afternoon recess, the teenager began shooting. Teacher, Meghan Hollingsworth was hit in the shoulder as she pulled the children back into the school. Two 6 year olds where also shot, one in the foot and one in the leg. Jeff: Townville Fire Chief, Billy McAdams, was first on the scene along with firefighter, Jamie Brock, who found the teenage shooter with a handgun and was able to pin him to the ground. Now McAdams expressed clear distress and grief over the event in a local news broadcast saying, “Yesterday our community, experienced a very devastating and life changing event. We’re going to feel this for a real long time.” McAdams son also attends the school. Caton: While emergency services were rushing to the elementary school, another 9-1-1 call was coming in saying that a man had been shot dead. Tiffney’s in-laws had received a call from their 14 year old grandson just before he began shooting. He was crying uncontrollably and they couldn’t make out anything he was saying. They rushed over to the home where he lived with his mother and father only to find, their son, 47 year old Jeffrey Osborn dead and their grandson nowhere around. Jeff: The teacher and one boy who were shot were released from the hospital thsame day but most severely injured however, was first grader, Jacob Haul. He remained in critical condition but could no longer hold on. He passed away this Saturday, October 1st. Caton: Well the seven day cease fire in Syria, which was brokered by the US and Russia has officially ended and it is unclear if it will be prolonged. While the violence had lessoned considerably during the seven days, there were constant accusations from both sides that the ceasefire had been violated. Jeff: Even though further steps had been planned it seems that all sides were not ready to move on to take those steps. Initially it was expected that the Russians and the Americans would start coordinating their air campaigns against both ISIL and Fatah al-Sham, formerly named, al-Nusra Front. Caton: But neither the Russians nor the Americans are happy about how the truce went and are blaming each other for not meeting the terms for continued cooperation. The Russian defense Ministry claims, the truce was only observed by the Syrian government and that it gave rebels the opportunity to regroup. Jeff: Russia also blames the Americans for not influencing the so-called ‘moderate opposition’, failing to convince them to separate from groups like al-Nusra. In fact they say that they’ve merged even further. At the same time the opposition are blaming the government for violating the ceasefire. Caton: Despite, stopping short from fulfilling its goals the ceasefire did manage to bring some relief. John Kerry was in fact optimistic when he met with his Vatican counterpart in Rome, to discuss Middle East Issues among other things. He told reporters that the basic ceasefire was continuing to hold and that aid trucks were moving to 8 or more locations and he remained hopeful. Jeff: The recent US led airstrikes caused the Syrian army to lose some strategic positions against ISIS in the area. Americans weren’t the only ones involved in the strikes. The Australians have come forward as well as the UK, both confirming their involvement. Caton: Looking back a bit there Jeff, There was a lot of uncertainty as to whether the ceasefire would hold even hold through its seventh day after a 31 truck aid convoy was targeted, just west of Aleppo and on the 6th day of the ceasefire in fact. The strike destroyed 18 of the aid trucks and killed at least 20 people causing the United Nations to halt its aid operations in Syria completely. The convoy was due to deliver food and medical aid for 78,000 people living in eastern Aleppo. It is estimated there are 250,000 civilians facing severe shortages as a result of the siege on the city. So it doesn’t seem like they’re really making any headway. Caton: An audio recording of the US Secretary of State, John Kerry, reveals his frustrations over not being able to end the crisis in Syria as he talked with a group of Syrian civilians behind closed doors. The 40 minute candid conversation took place during the week of the UN’s general assembly in New York, and was leaked to the New York Times who broke the story. Jeff: In the recordings, Secretary Kerry was speaking with about 20 representatives from different Syrian opposition groups. While we don’t have the original recordings we do have the gist of what was said by the Secretary of State. Caton: Well we know the lives lost in Syria have been enormous, but Thom Hartmann of RT just announced a new report coming out shows that with the US invasion of Iraq, 1 million Iraqis were left dead. Jeff that’s about 5% of that entire country’s population. So that’s a lot of people. Jeff: We’ve talked about the plight of children throughout these war torn countries. But one child has gripped social media with her heart wrenching message in a way we have not seen. She comes to us from Yemen’s capitol, and at 10 years old very eloquently expresses the fear and sorrow of her people, from a child’s point of view. Let’s take a look at what she had to say. Jeff: Just this last week Caton a Saudi led coalition airstrike killed at least 20 more people in a port city of western Yemen in her country. According to a human rights watch dog, the airstrikes are deliberately targeting hospitals and schools killing and injuring innocent children. Caton: Wow. Well he’d eventually end up wiping out everybody, because by their laws or by the laws seems like everybody is some type of criminal. Well the Defense Minister of Pakistan raised the threat against India to a new extreme. Khawaja Mohamed Asif openly threatened India with a nuclear war, in an interview with a Pakistani channel, the defense minister said, “Special bombs which will be used against India so that the coming generations will be effected.” He also added that, “Pakistan can easily devastate India.” Now this may be one of the most blatant, nuclear threats that Pakistan has ever issued against India against their people. Jeff: The Pakistan minister also blames India for an old terror attack and reiterated his countries stance in reference to the ‘Uri attack’, that it was stage managed by India to portray Pakistan as evil. So the two countries continue to go back and forth. Caton: You see that a lot amongst countries. Well things are also being shaken up overseas. Larry McGee has our report today on the latest around the River Euphrates. Larry what do you have for us? Larry: The danger of nuclear war is also increasing and is apparently more and more imminent by the day. While that might have once been considered to be a baseless and insignificant claim promoted by doomsday-sayers, Main stream media is now endorsing the idea, complete with supporting interviews from global analyst and US military officials. Reports are identifying a new cold war between Russia and the US and are seeking to explore the risk associated with nuclear proliferation between the two powers. Putting its enemies on notice, the US recently allowed an unprecedented glimpse into its nuclear operations inside Stratcom (or Strategic Comman) as both it and Russia are said to be developing nuclear weapons that make the choice to employ them less difficult. One weapon in the US arsenal, designed to get attention and produce large scale annihilation is the B-52 Bomber. It can haul 20 cruise missiles, six under each wing and eight in its bomb bay which is constructed to bring nuclear destruction in the same manner as a revolving chamber of a handgun, only with bigger bullets. Though the B-52 has recently been placed on display, military officials say the bomb is more than just a show, because it can also deliver. Over the last two years, reports are that B-52s have been flying missions not seen since the Cold War to send exactly that message to Russia. The hostile flights are said to have been initiated following the crisis in Ukraine, which ultimately culminated in Russia annexing Crimea. Analyst say the fact that military force would be employed to change an internationally recognized border in the central part of Europe was new. And there was question as to whether or not there was ever any indication that the head of Russia was prepared to use nuclear weapons in the conflict. The response of analysts was President Putin actually said as much himself, sighting the Russian leaders comments that he had given an order to the military to be prepared to increase the readiness of Russian nuclear forces in the event that the US and NATO attempted to block Russia intensions with regard to Crimea. On another occasion President Putin said, Russia was not looking for a fight, but they were prepared for the worse-case scenario. This concerns analysts, who believe that for Russia the use of nuclear arms is not unthinkable. That notion is being supported by the Russian military doctrine released in 2014, states that Russia “…shall reserve the right to use nuclear weapons…in the event of aggression…when the very existence of the state is in jeopardy.” America then upped the antie itself performing more aggressive exercises over the North Pole and North Sea. The exercises consisted of four bombers with the potential of carrying 80 cruise missiles. Hans Kristensen, Director of the Nuclear Information Project is using Google Earth to demonstrate the message that that sent to Russia with lines superimposed on a world map that show how the flights could have decimated multiple targets in Russia. American military officials say the exercise has exhibited a lot of fire power that definitely sent a message and Russia can draw whatever conclusions that it needs to. In assessing the matter Rear Admiral Steve Pero says, The concern is that “…in recent years there’s been…specific public statements made by Russian leaders that indicate an involved willingness to employ nuclear weapons in the course of conflict.” He believes that Russia feels that the West is weak socially and that if they were to use a nuclear weapon in the midst of a conflict that might be able to shock the Western powers into deescalating or calling a cease-fire. Overall analyst say the present concerns are somewhat different from the previous Cold War, whereas the concern then was all-out nuclear war, now the worry is that a nuclear weapon will be used somewhere in the world, by a terrorist group possibly or one of the many nations such as India and Pakistan which now have nuclear stockpiles as well. Where US Strategic Command is concerned however the biggest issue is Russian military doctrine, which they say is changing in a way that makes the use of a nuclear weapon more likely. For YPN News, I’m Larry McGee…Caton, Jeff…back to you. Caton: Well definitely seems like we’re a lot closer to the Cold War heating up with the use of nuclear weapons. Caton: That’s right O’Hanlon said that they’re number 3 (referring to Jordan) in the area for resettling refugees. So in regards to them handling the humanitarian part, they’re extremely crucial. And of course they share the border with Syria; that is Syria being north of Jordan, so for people driven from those areas because of the war, basically Jordan is their only hope. Jeff: To give you an idea about Jordan, Abdullah’s reign is over an area that’s about the size of the state of Indiana with the Israeli Palestinian conflict to his west, north of him, Syria’s civil war, to the east ISIS in Iraq and to the south fundamentalist Islam in Saudi Arabia. It is a collision of tribes and religions not confined by borders drawn with a British T-square and crossed by American tanks. Jeff: When the king was asked if there had to be a western army of some kind on the ground to help fight this, Abdullah said, “…enablers…because you can’t have western troops walking down the streets of Syrian neighborhoods because at the end of the day you need the Syrians to be able to do that.” In 2014, CBS cameras were on the Syrian border as the kings soldiers reached out and welcomed them even though they already had 2 million Palestinian refugees who had been in Jordan for more than two decades. So they’re already full, but they were still taking more on. Caton: Well with wars continuing to loom on the horizon, retaliation amongst the nations and it seems like the entire world is reaching its breaking point, the question is what can we do to turn this around? Well Yisrayl Hawkins and the House of Yahweh has the answers, in fact The Peaceful Solution to stop all wars. To find out more, you can contact The House of Yahweh. And once again we’d like to draw your attention to The Yisrayl Says Program, the best study bible tool on the market today and you can find that by going to www.yisraylsays.com. Caton: Well don’t go anywhere, up next Yisrayl Hawkins bringing forth the solution of peace. 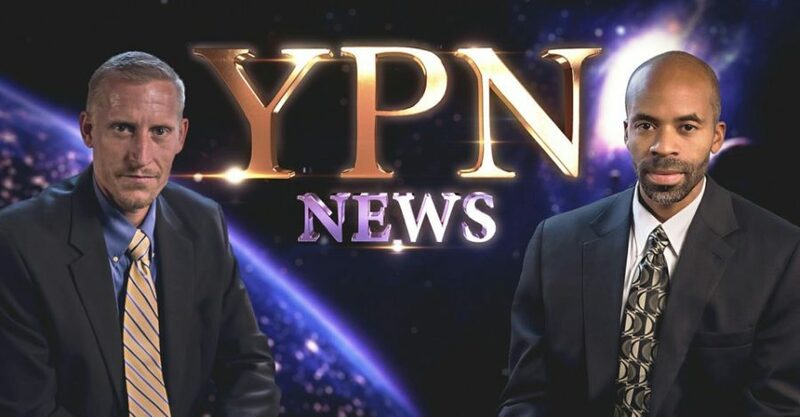 From all of us here at YPN News I’m Caton Alexander.